BEIRUT (AP) — Jamal Khashoggi, the Saudi journalist who disappeared last week after a visit to his country’s consulate in Turkey, was once a Saudi insider. A close aide to the kingdom’s former spy chief, he had been a leading voice in the country’s prominent dailies, including the main English newspapers. A graduate of Indiana State University, Khashoggi began his career in the 1980s, covering the Soviet occupation of Afghanistan and the decade-long war that followed for the English-language daily Saudi Gazette. He traveled extensively in the Middle East, covering Algeria’s 1990s war against Islamic militants and the rise of Islamists in Sudan. Khashoggi rubbed shoulders with the Saudi royal family and supported efforts to nudge the kingdom’s entrenched ultra-conservative clerics to accept reforms. He served as an editor for nine years on the Islamist-leaning al-Madina newspaper and was frequently quoted in the Western media as a reformist voice and expert on Islamic radicals. He was fired from his post as an editor at Al-Watan, a liberal paper founded after the 9/11 terror attacks, just two months after he took the job in 2003. The country’s ultra-conservative clerics had pushed back against his criticism of the powerful religious police and Ibn Taymiyah, a medieval cleric viewed as the spiritual forefather of Wahhabism, the conservative interpretation of Islam that is the founding tenant of the kingdom. Khashoggi then served as media adviser to Al-Faisal, the former spy chief, who was at the time the ambassador to the United States. Khashoggi returned to Al-Watan in 2007, where he continued his criticism of the clerics as the late King Abdullah implemented cautious reforms to try to shake their hold. Three years later, he was forced to resign again after a series of articles criticizing Salafism, the ultra-conservative Sunni movement from which Wahhabism stems. 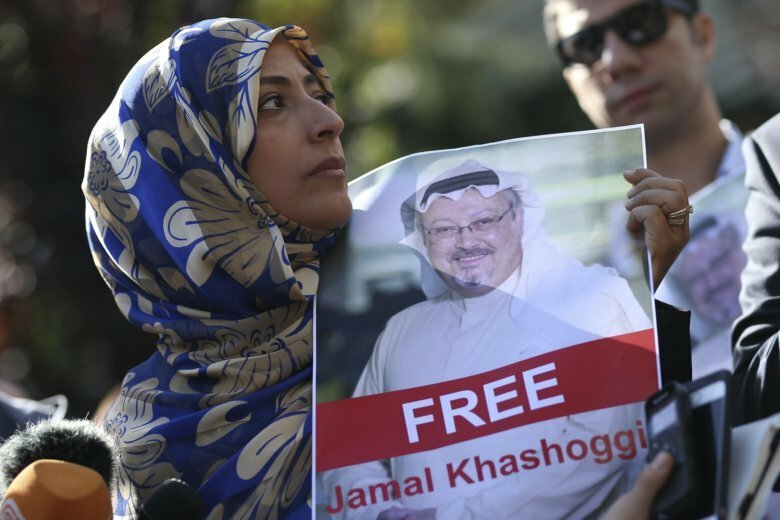 Khashoggi’s final break with the Saudi authorities followed the Arab Spring protests that swept through the region in 2011, shaking the power base of traditional leaders and giving rise to Islamists, only to be followed by unprecedented crackdowns on those calling for change. Siding with the opposition in Egypt and Syria, Khashoggi became a vocal critic of his own government’s stance there and a defender of moderate Islamists, which Riyadh considered an existential threat. He also criticized his government’s diplomatic break with Qatar and war in Yemen as well as Riyadh’s policy toward its archenemy, Iran, whose influence has grown in Yemen and Syria. Before his disappearance, Khashoggi had been living since last year in the U.S. in self-imposed exile, after he fled the kingdom amid a crackdown on intellectuals and activists who criticized policies of Crown Prince Mohammed Bin Salman.